The oak tree above was in front of the house we moved in to when we got here. It is over 300 years old. We loved sitting on the front porch and imaging all the things that have changed in the life of that tree. I don’t see Mr. Okra so much in the neighborhood where I am now, and I miss him! 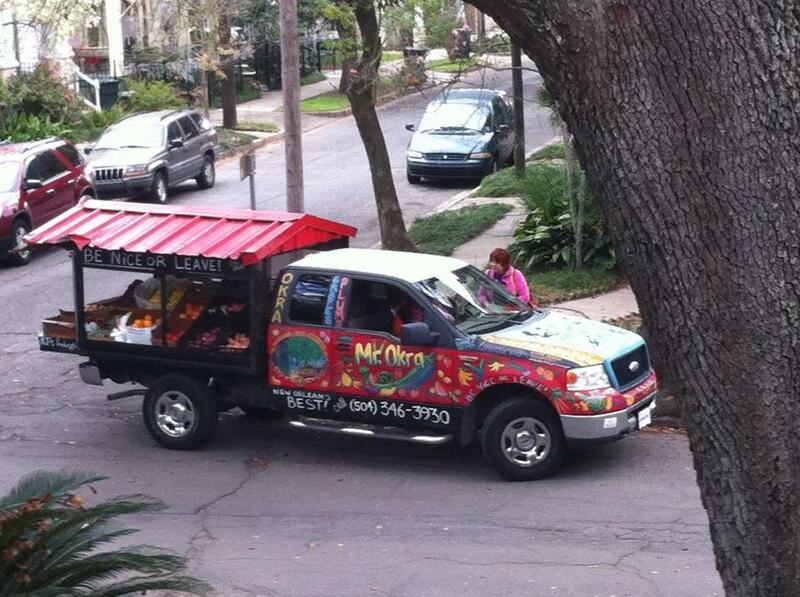 He would come around announcing what produce he had for sale over a loud speaker in his snazzy truck. I loved the sign on his truck that reads, “Be nice or leave.” You can see that in the picture. 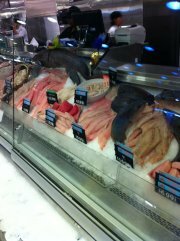 Fresh seafood from the Gulf of Mexico – so good! Streetcars – when they are running. There has been quite a bit of construction in the past years. 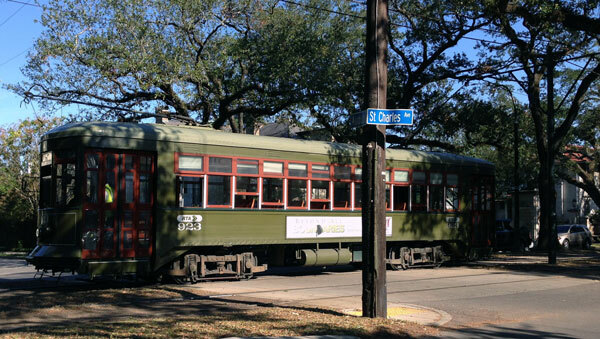 The streetcars have not always been able to run their full course, but they are still a great way to get around. 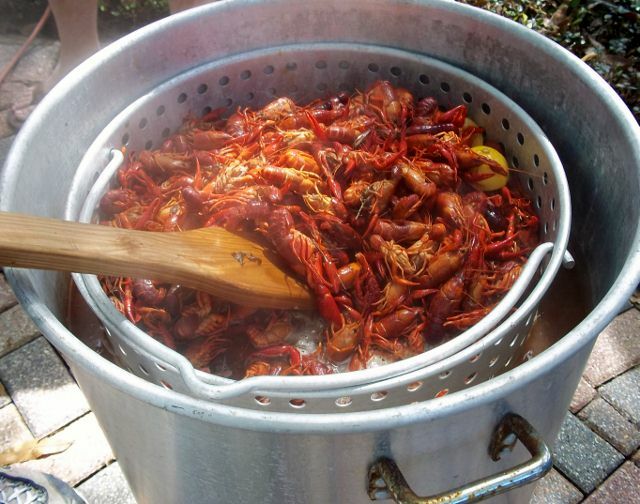 Crawfish boils! A fun way to get together with friends, and they are also available, freshly boiled at many grocery stores. I love getting out of my car at the market and smelling the crawfish boiling. 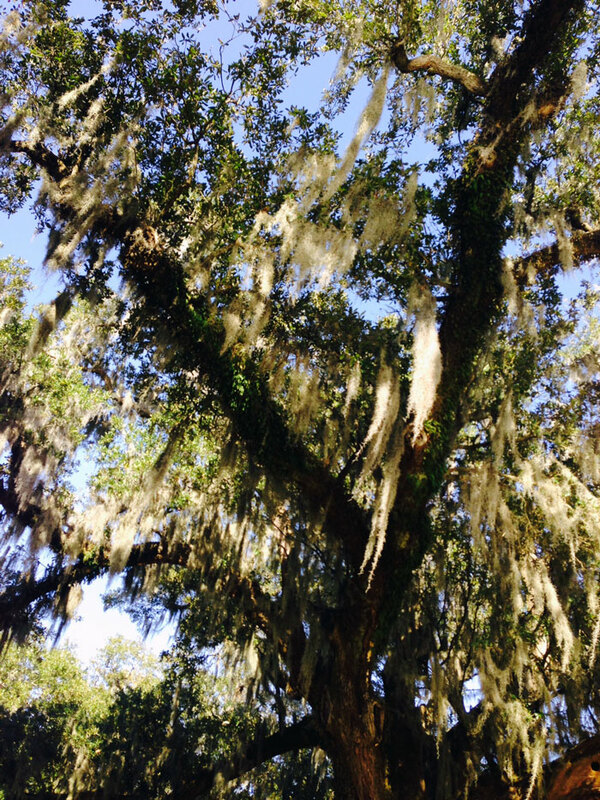 Spanish moss – so pretty, and another of my favorites is resurrection fern that drys up and then turns green and lush when it rains. 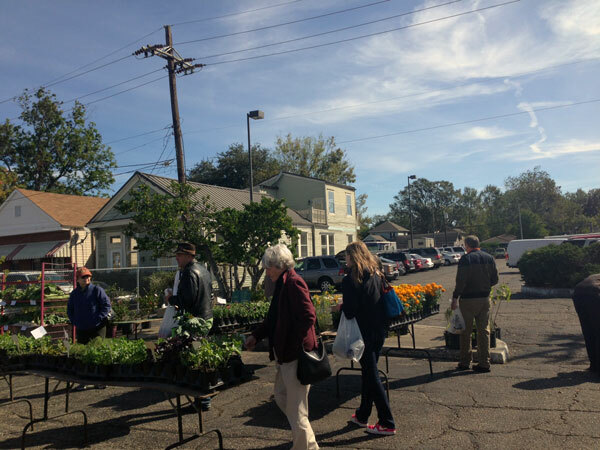 The neighborhood farmer’s market is always great – year round. 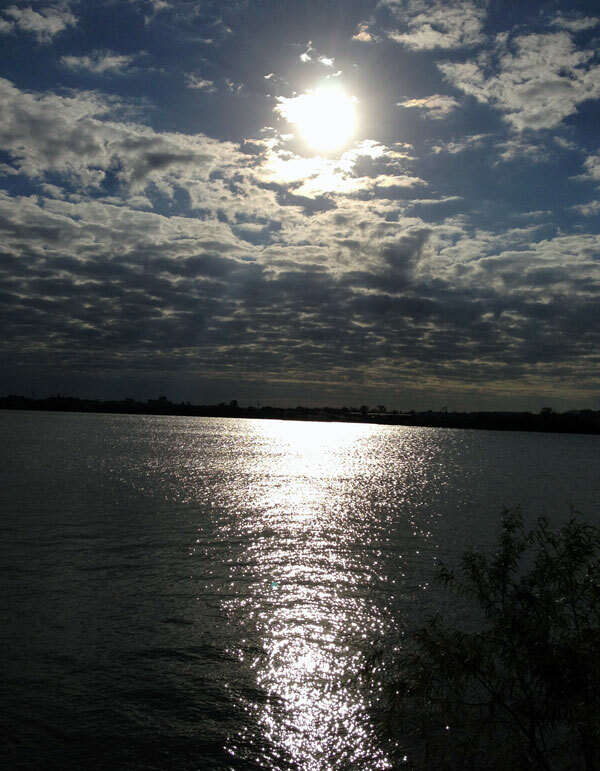 Abounding with local fresh produce and seafood and baked goods – it is a great way to start a day. Oysters – fresh from the gulf and chargrilled. This list could go on and on. I haven’t even mentioned the music. Even as I am writing this, I can hear my neighbor practicing on his trumpet and he is really good. What a treat. Oh, and the smells – onion, celery, bell pepper and garlic simmering in a pot. There is so much to love. The friendly people, the laid back way of life, it is all here. Now, granted, there is definitely another side, but as my Bible says, where sin abounds, so does grace abound. If you have visited here, do you have a New Orleans favorite? What about favorites from your own home town? Let me know in the comments. Would love to hear from you! Today, I am joining Metamorphosis Monday at Between Naps on the Porch.